As time ticks away and more and more rumors almost confirm that this year will see three new iPhone launches – two iPhone S models and an all-new iPhone 8 – it is fair to say that all the attention is on the more radical of the three expected devices. If any of the rumors are accurate then the iPhone 8 will feature a new bezel-free front panel, causing Apple to either move the fingerprint sensor to the rear of the device or beneath the screen. 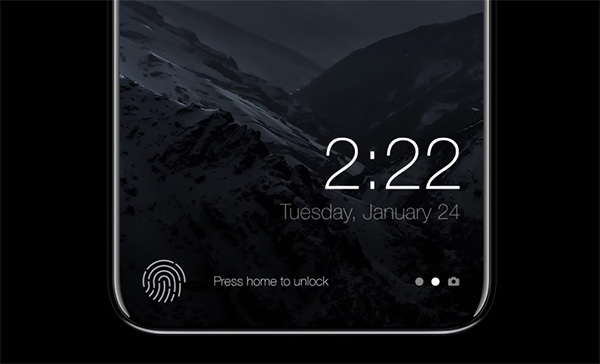 Technology for the latter has been seen in Apple patent applications for some time now, and a new report by the notorious DigiTimes has Apple ready to bring an in-house in-screen fingerprint technology to bear. According to DigiTimes, Apple will indeed use its own technology when embedding the iPhone 8’s fingerprint sensor into the device’s screen – possibly the rumored ‘function area‘, ending a run which saw the existing Touch ID used throughout Apple’s lineup. Touch ID came about following Apple’s acquisition of AuthenTec back in 2012, and if the publication is right, Apple’s new technology will take over this year. 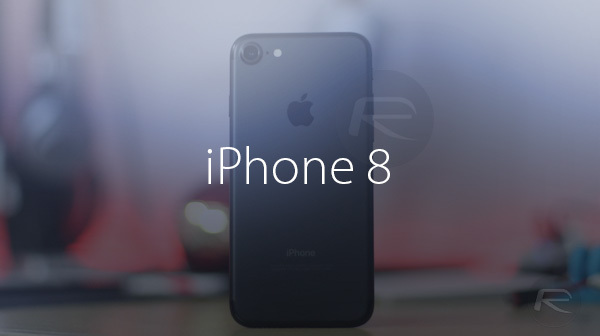 On the subject of when the iPhone 8 will ship out, it is believed that the device will not enter mass production until after the iPhone 7s and iPhone 7s Plus. DigiTimes has Apple beginning full scale production of the iPhone 8 as late as September, making a launch in the same month either unlikely, or simply destined for huge shortages. Apple’s in-house developed fingerprint ID solution will be fabricated at TSMC’s 12-inch line using 65nm process technology, said the sources, adding that production for the new OLED iPhone is unlikely to start until September due to the redesigned fingerprint ID solution. Of course, if the claimed $1,000 entry point for the iPhone 8 is accurate, who knows, perhaps demand will simply not be as high as previous iPhone releases. This got me thinking, if the Display is replaced due to damage, will it lose the TouchID functionality? Since now, if you replace the Home button with fingerprint scanner on an iPhone, you lose TouchID. Correction…if you replace the home button with 3rd party garbage it can trip TouchID into a non usable state. As with anything, if you go 3rd party then you’re on your own. No sir, even if you replace it with one of a different iPhone, it will not work. If YOU replace it with one from another phone it wont work. if you replace it with a new one that is 100% Apple it will however YOU do not have access to such hardware. Only Apple does. Apple replaces them all the time. It’s a non issue. If it’s going to be $1000 dollars Apple can go fudge themselves. £800 for the 6SS, sorry I mean the i7 was a joke. It won’t be here this September. I bet iPhone 7s and iPhone 7s PLUS as tradition. An iPhone 8 is next year, I bet. I hope I am wrong. Sorry fandroids, you’ll be stuck giving your phones reach-arounds. I’m no fandroid nor an isheep but your statement is uninformed, a couple of Android device manufacturers already stated that same tech will exist in 2018 SKUs which the premium overpriced iPhone X this year MIGHT have, mainstream will be available in iPhone 8 come 2018. Apple is a tech company like any other, Just because you only read Apple news doesn’t mean the rest of the world stopped. So you are saying that ONLY Apple can fix (replace) my $749 USD phone, by replacing it by a “new” (refurbished) unit at a cost of $299. Since i’m out of warranty. And i can’t fix it by a 3rd party repair shop, by just swapping the touchID flex. Apple or any Apple AUTHORIZED repair shop. 99% of the places that will fix a broken screen or replace a battery are not authorized and are just using cheap Chinese knockoffs.